The stock price for Simplybiz Group PLC company symbol: LON:SBIZ has risen 8.48% or 17.35 points throughout the session so far. Investors have remained positive while the stock has been in play. The high for the period has peaked at 222.93 and a low of 204.5. The volume total for shares traded up to this point was 82,768 with the daily average number around 71,814. The 52 week high for the shares is 222.93 amounting to 18.43 points difference from the previous days close and the 52 week low at 145 which is a variance of 59.5 points. 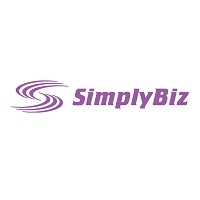 Simplybiz Group PLC now has a 20 simple moving average of 203.57 with a 50 day MA at 188.37. The market capitalisation currently stands at £214.71m at the time of this report. All share prices mentioned for this stock are traded in GBX. Mcap is measured in GBP. This article was written with the last trade for Simplybiz Group PLC being recorded at Friday, April 5, 2019 at 11:41:14 AM GMT with the stock price trading at 221.85 GBX. The share price for Prudential plc with EPIC code: LON:PRU has gained 2.32% or 38 points in today’s trading session so far. Market buyers are a positive bunch during this period. The high for the period has peaked at 1677 dipping to 1633.5. Volume total for shares traded during this period was 2,028,272 with the average number of shares traded daily being 5,528,584. The 52 week high price for the shares is 1962 which is 325.5 points different to the previous business close and a 52 week low sitting at 1324.99 a difference of some 311.51 points. Prudential plc now has a 20 moving average of 1591.45 and now a 50 day moving average of 1568.24. The current market cap is £43,531.07m at the time of this report. The share price is in GBX. Mcap is measured in GBP. This article was written with the last trade for Prudential plc being recorded at Friday, April 5, 2019 at 11:59:59 AM GMT with the stock price trading at 1674.5 GBX. Shares of Rio Tinto plc EPIC code: LON:RIO has risen 1.47% or 67.5 points during today’s session so far. Buyers have remained positive during the trading session. Range high for the period so far is 4657.5 dropping as low as 4610. The total volume of shares exchanged through this period comes to 513,775 with the daily average traded share volume around 4,097,259. The stock 52 week high is 4664 about 75.5 points difference from the previous days close and the 52 week low at 3460 which is a variance of 1128.5 points. Rio Tinto plc has a 20 day moving average of 4349.53 and the 50 day simple moving average now of 4340.36. This puts the market cap at £58,872.11m at the time of this report. The stock is traded in GBX. Mcap is measured in GBP. 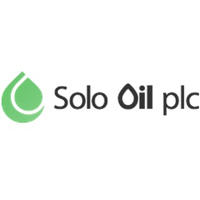 This article was written with the last trade for Rio Tinto plc being recorded at Friday, April 5, 2019 at 12:00:07 PM GMT with the stock price trading at 4656 GBX. The share price for Rolls-Royce Holding PLC ticker code: LON:RR has climbed 1.77% or 16 points in today’s trading session so far. Traders have remained optimistic while the stock has been in play. Range high for the period has seen 921.8 dipping to 903.4. The total volume of shares traded by this point was 2,183,943 while the daily average number of shares exchanged is 5,660,885. The stock 52 week high is 1104.5 about 200.5 points different to the previous business close and a 52 week low sitting at 9.88 a difference of some 894.12 points. Rolls-Royce Holding PLC now has a 20 SMA of 909.17 and now the 50 day MA at 925.45. Market capitalisation for the company is £17,521.48m at the time of this report. The share price is in Great British pence. Mcap is measured in GBP. This article was written with the last trade for Rolls-Royce Holding PLC being recorded at Friday, April 5, 2019 at 12:02:03 PM GMT with the stock price trading at 920 GBX. Shares of Smiths Group plc EPIC code: LON:SMIN has risen 1.02% or 15 points in today’s trading session so far. Market buyers have remained positive during the session. The periods high figure was 1492.5 dropping as low as 1477.5. The total volume of shares exchanged through this period comes to 139,102 while the average shares exchanged is 981,518. The 52 week high price for the shares is 1810.17 which comes in at 334.67 points in difference to the previous days close of business and a 52 week low sitting at 1256.74 is a variance of 218.76 points. Smiths Group plc now has a 20 moving average of 1448.1 and a 50 day MA at 1462.7. Market capitalisation for the company is £5,901.61m at the time of this report. The stock is traded in GBX. Mcap is measured in GBP. This article was written with the last trade for Smiths Group plc being recorded at Friday, April 5, 2019 at 12:02:03 PM GMT with the stock price trading at 1490.5 GBX. Shares of Standard Chartered PLC found using EPIC: LON:STAN has moved up 1.06% or 6.8 points throughout today’s trading session so far. Investors have remained optimistic during the trading session. The periods high figure was 647 dipping to 639.4. The total volume traded so far comes to 863,364 whilst the average number of shares exchanged is 8,506,793. The 52 week high is 787.3 amounting to 147.3 points difference from the previous days close and the 52 week low at 514.2 a difference of some 125.8 points. Standard Chartered PLC now has a 20 SMA of 612.87 and a 50 day moving average now at 622.54. The current market cap is £21,540.55m at the time of this report. The currency for this stock is Great British pence.Market cap is measured in GBP. This article was written with the last trade for Standard Chartered PLC being recorded at Friday, April 5, 2019 at 11:58:22 AM GMT with the stock price trading at 646.8 GBX. Click PRU RIO RR SBIZ SMIN STAN for the full archive.